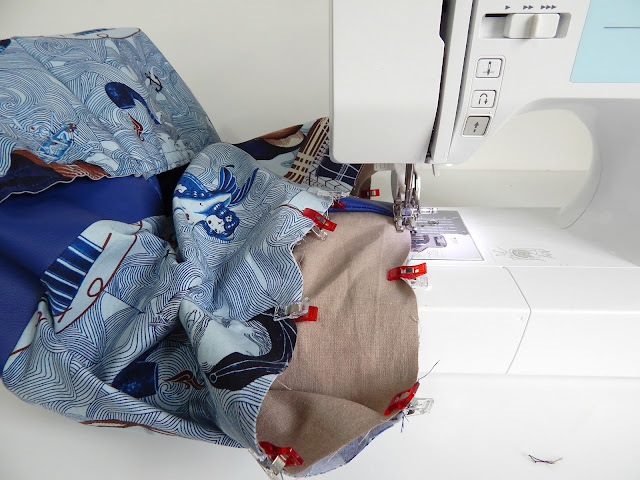 The hardest part of our Swimming Jim bags is done, the outer pockets, and from here on in it's fun, fun, fun! You can see parts 1 & 2 by clicking on each number. Today we'll be finishing our bag. You've already sewn the side and bottom seams of the Outer bag base, now it's time to close those corners. As per the pattern, sew the strap tunnel (C) in half, and then sew it onto the side seam. Then matching side and bottom seams, box each corner using a 3/8" seam allowance. 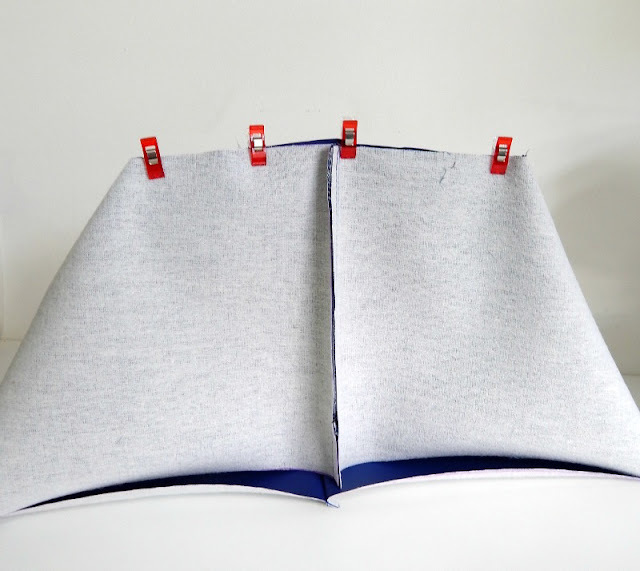 You can use a slightly larger seam allowance on these corner cut outs if you'd prefer. 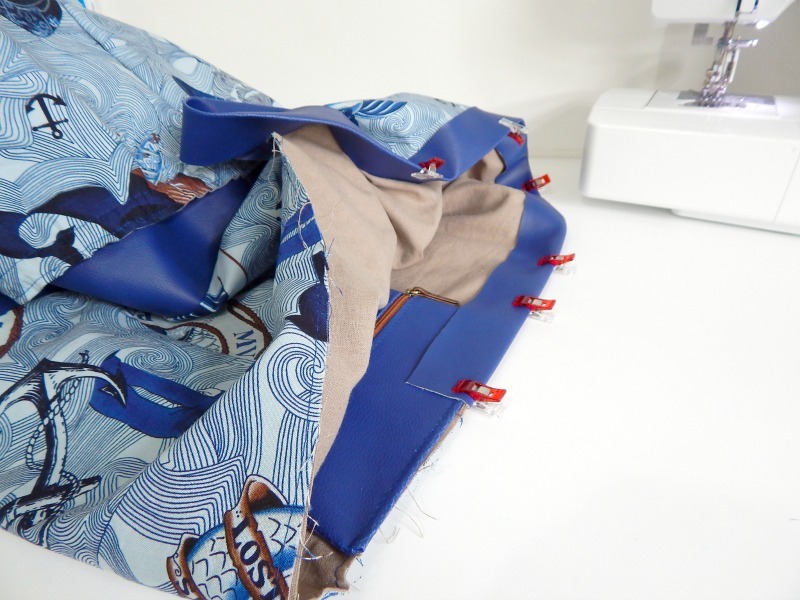 Now sew each edge of the Outer top with medium weight interfacing attached, using a 3/8" seam allowance. 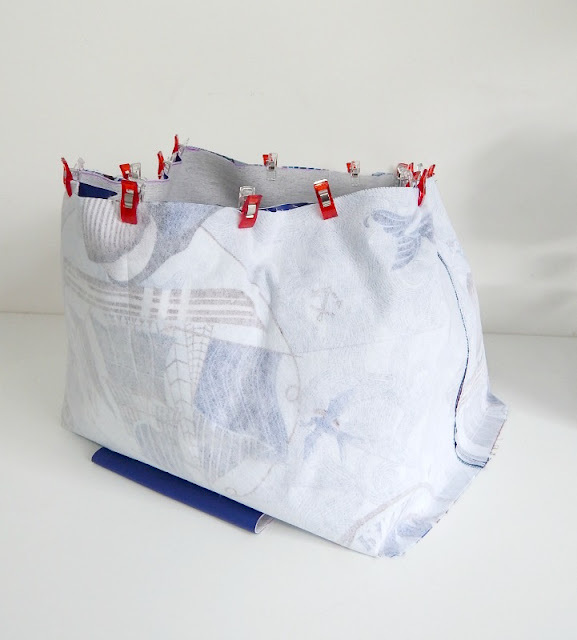 You can press these seams open to get a lovely crisp finish, but it's ok if you don't, the bag will be gathered at the top anyway. 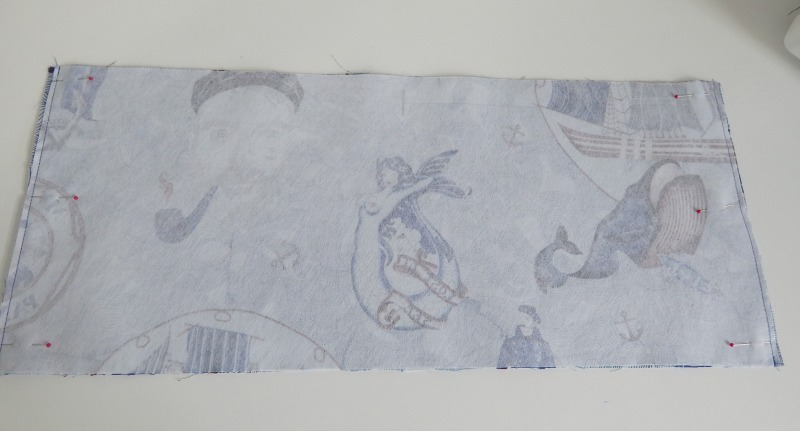 With the bag base outer right side out, and the bag top outer right side in, match the raw edges together. You will need to ensure that if you have a directional print, the bottom of the top is matching the top of the bottom. So the bottom needs to be right ways up, and the top needs to be upside down. You can sew this with a 3/8" seam allowance as well. 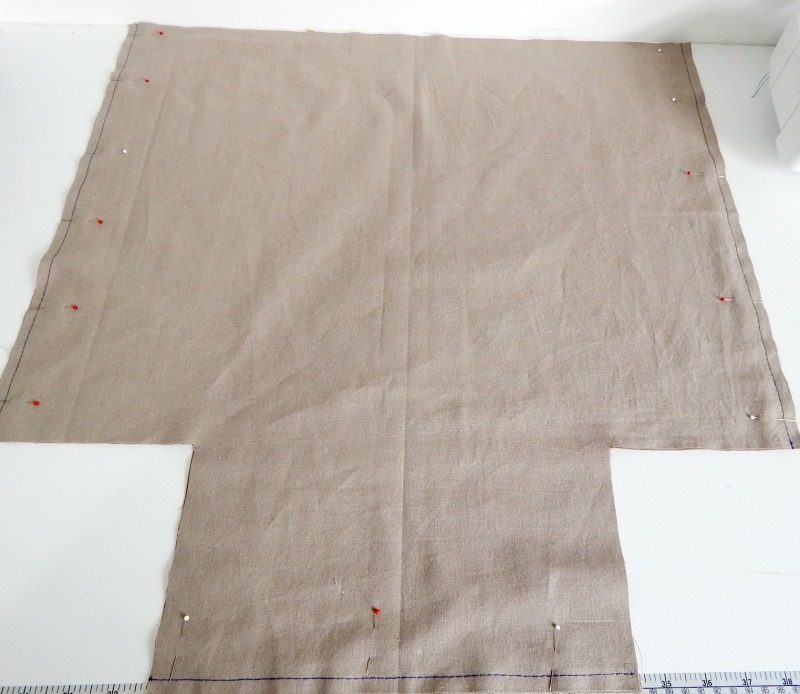 Using the lining pieces that you cut in part 1, sew along each side and the bottom using a 3/8" seam allowance. If you want to use a foam stabiliser in this hack, you should add it to the lining, so when you sew, make sure you're sewing a sandwich of foam stabiliser, lining, lining, foam stabiliser, with the right sides of the lining touching. Box the corners of the lining as you did for the outer and then it's time to make the optional zipped pouch. 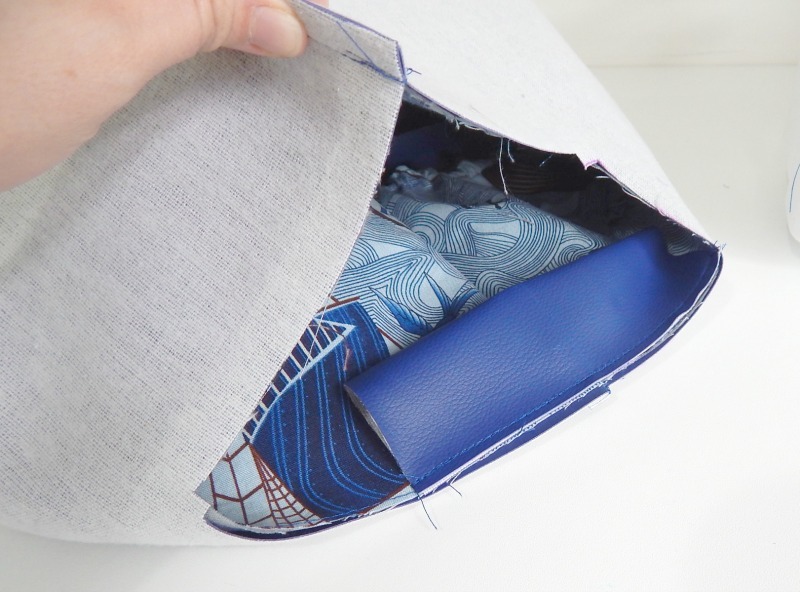 I've taken a photo here of how I top stitch the both sides of the zip on the zipped pouch. 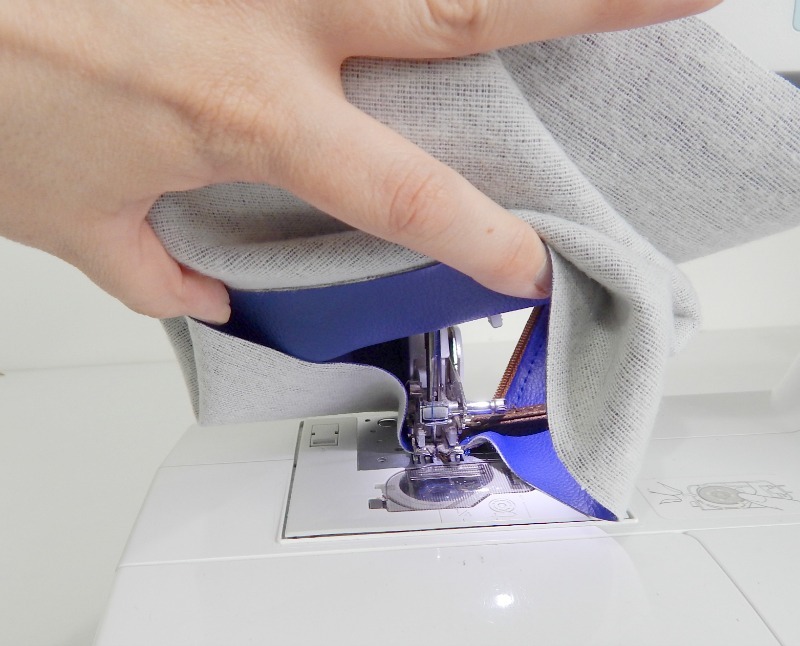 I pull it up and out of the way of the foot and the oojiflip, so that as I'm sewing it doesn't get caught. 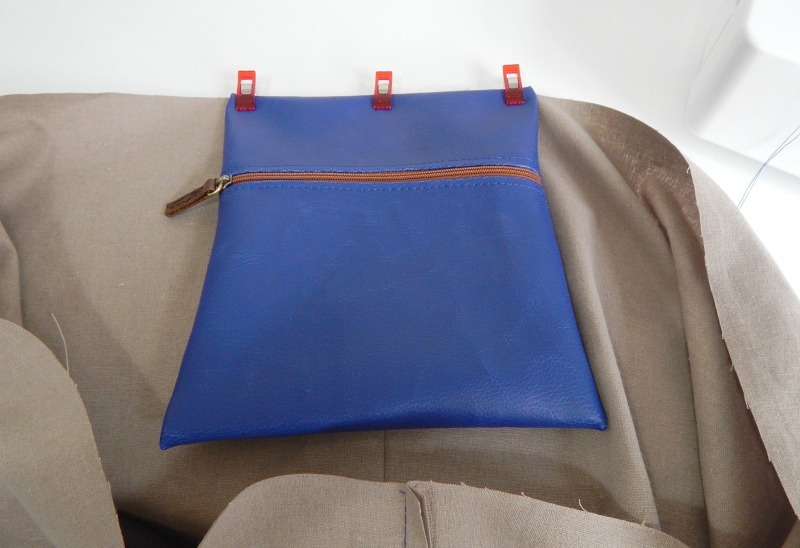 Once you've turned the pouch right sides out it can be basted over the back seam of the lining, on the right side. Now I popped the lining inside the bag outer, matching top raw edges, and did a line of basting stitches around the whole top to keep the layers together. And finally, it's time to add the top band. On this pattern hack you've got a centre back seam, a centre front seam in the lining, and two side seams in the outer. This means you can easily divide up the top band into quarter marks to make sure you're adding it evenly. Once you're finished it's time to add your eyelets to the top band, pop the rope through and you're ready to go! I used Straight couplings from the Copper pipe section in the plumbing department of my local hardware store to finish the rope ends. To secure them I coated the inside of the couplings with a good amount of Fabri-tac (sent to me by my butty Alicia at Swoon patterns), then twisted the rope ends inside. This resulted in a good blob of the glue squirting out the end, but it came out as a dome shape. By leaving it to dry a good couple of hours, it finished with a lovely dome shape on the end of each copper coupling. A great finish! I can't wait to see your finished Swim & Gym bags popping up in the Bag of the Month club group, please feel free to tag me in your makes!